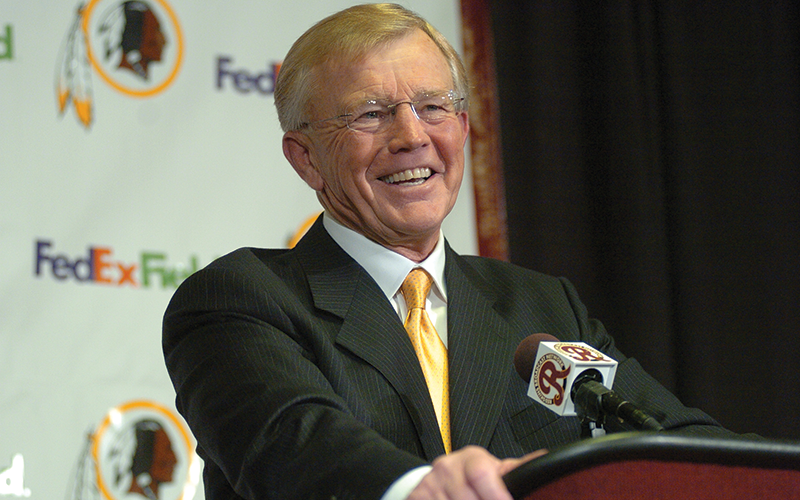 One of the most successful coaches of all time, Joe Gibbs coached the Washington Redskins for 12 seasons, leading them to eight playoff appearances, four NFC Championship titles, and three Super Bowl titles. In 1996, Joe was enshrined in the Pro Football Hall of Fame, with an overall winning percentage of .638 – second only to the legendary Vince Lombardi and John Madden. After retiring at the end of the 1992 season, Joe switched his focus to his NASCAR team, Joe Gibbs Racing, which has already won three championships under his ownership (’00, ’02 & ’05), and is currently poised to claim a fourth in 2008. A deeply committed Christian, Joe has made no secret of his faith, speaking at numerous prayer breakfasts, advertising Mel Gibson’s The Passion of the Christ on the hood of one of his race cars at the Daytona 500, and most recently, dedicating his time and resources to building a special ministry through Joe Gibbs racing called The Game Plan for Life, which focuses on “winning souls for Christ and discipling believers toward living more full and relevant God-centered lives.” Gibbs currently resides in North Carolina with his wife, Pat. They have two sons, J. D. Gibbs and Coy Gibbs and eight grandchildren. J.D. and his wife, Melissa, have four sons: Jackson, Miller, Jason and Taylor. Coy Gibbs and wife Heather have sons Ty, Case and Jett along with daughter Elle.